Fourth Assertion: Attaching the prefix ‘neuro’ to a discipline with a long-standing history creates a new sub-discipline. Neuro-history, launched by among others Daniel Lord Smail, Iain McGilchrist, and David Lewis Williams in the first decade of the 21st century, and subsequently lauded by philosopher Steve Fuller (PDF), is a species of history-making that adopts an interdisciplinary style of thinking about historical narrative that assumes that certain neurobiological or genetic facts are universal, true, and therefore as meaningful as archeological findings, anthropological observations, or historical sources. In this sense, neuro-history is different from Charles C. Mann’s 1491, which pulls from a range of methodologies in the human sciences to reconstruct life in the Americas before Europeans arrived, because Mann does not assume the transcendence of biology and evolution. the notion that someone is "left-brained" or "right-brained" is absolute nonsense. All complex behaviours and cognitive functions require the integrated actions of multiple brain regions in both hemispheres of the brain. All types of information are probably processed in both the left and right hemispheres (perhaps in different ways, so that the processing carried out on one side of the brain complements, rather than substitutes, that being carried out on the other). If judged by the sociology of professions, disciplines, and specialties, then the answer must be an emphatic no. Let us examine some of the varied approaches to these topics in the sociology of work. Firstly, consider various definitions of professions: In 1958, Harvey Smith claimed that professions are “complex social institutions, which select people of varied skills, often from several social strata, and organise them” (p.410-411). In that same year, Ernest Greenwood claimed that professions could be understood as social workers with defined attributes including: (1) systematic theory, (2) authority, (3) community sanction, (4) ethical codes, (5) a culture. In 1977 Ivan Illich refined these views further by claiming that professions are social groups seeking to appropriate areas of human existence and to exercise social control over others, chiefly through the power of the state and bureaucracy. There is little sign that any of these fields have acquired structural characteristics like these, although I am suspicious that Illich’s description fits the motives of these ‘entrepreneurs’. Do neuro-prefixed fields amount to disciplines? Foucault suggested in Discipline and Punishment that "The disciplines characterize, classify, specialize; they distribute along a scale, around a norm, hierarchize individuals in relation to one another and, if necessary, disqualify and invalidate." (Foucault p. 223). Judged in post-structural terms, it is clear that the motivation of these domains might well accord with Foucault’s views, but structurally the fields to not yet rise to the level of seriousness. 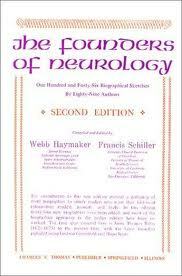 If neuro-prefixed areas of work are not professions or disciplines, then can we say that they are specialties? Specialization, according to Talcott Parsons's old definition, is a process that divides professions. In this sense, we might see them as forming divisions of professional labor (Abbott 1992). Nassau Senior (1836) defined the Division of Labour as the “Division of Production…the confining as much as possible of each distinct producer and each distinct class of producers to operations of a single kind.” George Rosen extended Senior’s theory to his own theory of the specialization of medicine, explaining in 1946 that: “medical specialism is an extension of that social division of labour, which first brought into being the medicine man. Furthermore, the foundation of medical specialism is heterogeneous, some specialties having developed around technical procedures, others taking as their province specific age groups, while still others have confined themselves to organs and organ systems” (p. 3). Scholars such as Rosemary Stevens and George Weisz have sought to expand upon Rosen’s definitions, examining the ways that changes in technology, hospital administration or political practices changed the specialization of medicine and science. Most scholars agree that specialization-processes can been seen as equivalent to the creation of expert divisions of labor but often without the economic consequences recognized by Adam Smith. In any case, regardless of the consequences, fields in the humanities and social sciences that have sought to embrace neuroscientific knowledge have not succeeded in specializing, precisely because they are not seeking to narrow their professions – history, philosophy, economics, ethics, aesthetics, or law. Rather, they are claiming that we - humanists and social scientists - have a choice before us: we can learn from neuroscience and expand our professions' knowledge bases. Or we can resist neuroscience and suffer the humiliation of falling further and further behind. It is this appeal to choice that reveals quite explicitly what many of these neuro-prefixed individuals are up to. They are entrepreneurs, bent on selling a product. A product that is often little more than a utopian vision or ideology dressed-up in the newest scientific fashions. Seven decades ago it was eugenics; four decades ago it was socio-biology. In the last thirty years, we’ve seen genes, green florescent proteins, and now brain scans become the currency of ‘debates’ about making history, philosophy, ethics, and law scientific. And a number of people have become quite famous selling us those debates and fairy-tales. But just as Walter Morley Fletcher, the first Secretary of Britain’s MRC, once famously suggested that biomedicine would “cure death itself”, we have been waiting for our scientific pixies, hobgoblins, or superheroes in the humanities and social sciences to prove their worth and actually deliver something beyond the banal or ideological. Indeed, for all of their protestations, they need us first and foremost.How many of their books could exist without an inherited legacy of hard-work in history, philosophy, ethics, economics, law, etc.? The facts these workers bring are made in the image of debates long established in the humanities and social sciences; despite their best efforts, they cannot re-make us into theirs because we were there first. Yet, if in the end we do purchase the currency of these debates, if we "blink," then we should recognize that it is because we like the marketing, the slick-packaging, and even the opportunity to moralize against this stuff. Admitting that we like this stuff is like admitting that we like sugar. We need to recognize that these workers are intellectually closer to Coca-Cola and Brittney Spears than they are to professions, disciplines, or specialties. They are bubble-gum, vanilla flavoring: a caramel macchiato with a double shot of espresso that keeps you awake about as long. You see, it takes a lot of hard-work, persuasion, brilliance, autonomy, determination, rigor, and truth to construct a profession, discipline, or specialty. Such work may well fall into the darker functions alluded to by Illich or Foucault, but say this for what the sociology of work has show us about those ‘disciplinary projects,’ they took the work of many brilliant people over a great deal of time. The neuro-tide, so far, is but window-dressing in comparison. Make them earn their status. Don’t give it to them because it is a convenient shorthand.